I was introduced to Sante Pure Barley last March by the grandmother of one of my son’s preschool friends. She gave me a few samples to try, and I liked them! She said that Sante Pure Barley is the only food supplement that her 91-year-old mother in the province is taking; she doesn’t have maintenance medications, too. I used to buy Green Barley, but because of the proliferation of fake Green Barleys last year, I stopped buying it because I wasn’t really sure if the product I was getting was authentic. I’ve been using Sante Pure Barley for more than 5 months now. Sante Pure Barleyis 100% young organic barley leaf grass powder (Hordeum vulgare) from New Zealand that is naturally sweetened with stevia and packed in 3-gram sachets. •	Sante Pure Barley is rich in vitamins, enzymes and minerals and contains all the essential amino acids the body needs for proper metabolism. 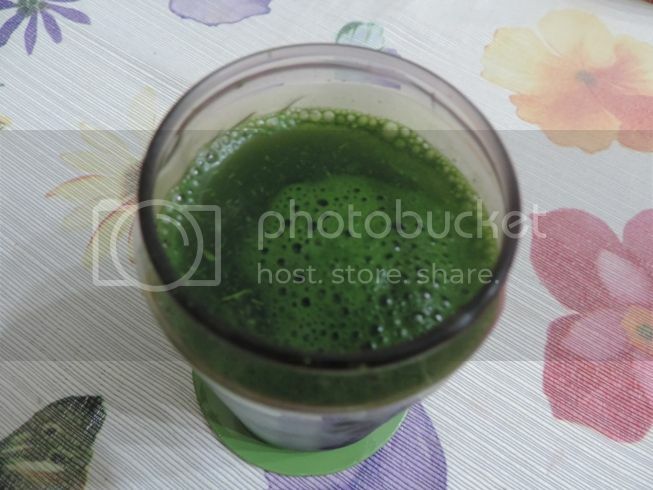 •	It is rich in chlorophyll, a powerful antioxidant that helps prevent the development and proliferation of cancer cells. •	It helps strengthen the body’s immune system. •	It helps lower bad cholesterol. •	Its high fiber content helps promote regular bowel movement. •	It helps remove toxic heavy metals from the body. •	It soothes sore throat and stomach distress. •	It improves hair, skin, nails, and helps eliminate body odor. Pour the contents of one Sante Pure Barley sachet into one glass of cold water and stir well. You can adjust the amount of water according to your preference. Consume 2 to 3 sachets per day. Price: Php1260.00 per box (30 sachets) from direct dealer. •	It solved my constipation problem. •	Together with cholesterol medication taken 3x a week, it helped lower my bad cholesterol level. In fact, it is now within normal limits. Last year, with 3x a week cholesterol medication alone, my bad cholesterol level was still slightly above the normal range. •	Because it’s naturally sweetened, it doesn’t affect our blood sugar levels like what white sugar does. •	The taste of Sante Pure Barley is tolerable, but it will be more exciting to drink it if they will come up with different flavors. 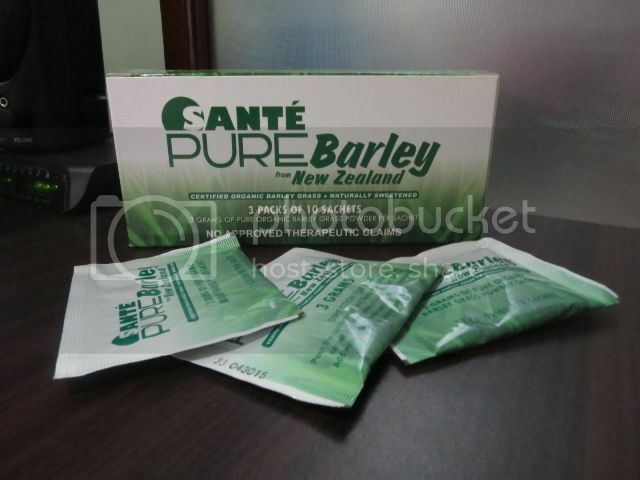 This entry was posted in Product Review, Sante Pure Barley. Bookmark the permalink. I like the juice form better than the powder !